Summer vacation may be over, but autumn brings mild days, uncrowded roads and plenty of recreation opportunities, all perfect for a shoulder-season getaway. 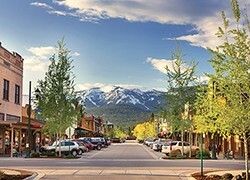 Topping our list: scenic floats on the Middle Fork of the Flathead River, paddling the Clearwater Canoe Trail in Seeley Lake, guided hikes in Glacier National Park, fly-fishing trips on the Bitterroot, Blackfoot, Clark Fork and Flathead rivers, tasting Montana at local breweries and exploring the region's thriving arts and culture scene. For more fall events, visit the events calendar.